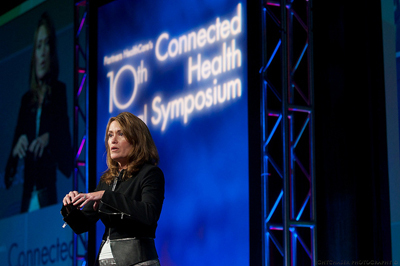 The 2014 Connected Health Symposium (our 11th) promises to be a feast for those hungry for knowledge on the subject. This year we have content focused on connected health at scale, the patient voice, new ways of sensing health and the latest policy updates – just to name a few of the topics we’ll cover during this two-day event. We continue our rich history of outstanding keynoters delivering TED-style talks on the main stage. Don’t miss Eric Dishman. There is no one who tells the story of how connected health can make a difference in a more genuine manner. Nir Eyal is both giving a workshop on October 22 and speaking on October 23. His recent book Hooked: How to Build Habit Forming Products has made lots of news. He’ll tell us how to make healthy behaviors habit forming. Other notable day one keynoters include Gregg Meyer, Chief Clinical Officer of Partners HealthCare, Kyra Bobinet and Jeff Margolis. 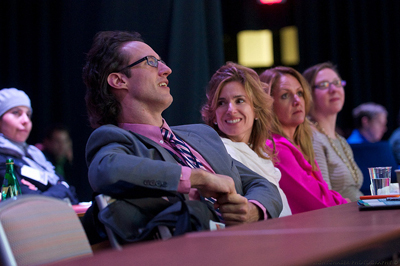 Additional examples of some of our thought provoking panels include, The Evolution of the Patient, Pioneers at the Intersection of Primary and Behavioral Health, and Lessons Learned from Large Scale Telehealth Interventions. There will be a themed section on Sensing Aspects of Health That are Normally Silent, which includes a performance by the design firm Sensoree highlighting their innovative clothing that changes color according to the wearer’s mood. 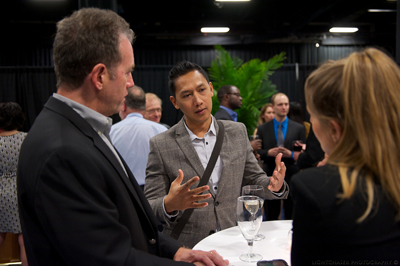 Top it off with book signings and networking breaks. Day one is a can’t miss day. Day two kicks off with two great speakers: Robin Farmanfarmaian and Clive Thompson. Following that are some terrific panels including one on International Perspectives on Scaling Connected Health. Our themed section for day two is on Patient Voice, and includes both a thoughtful keynote (Sarah Krug) and panel on the topic, as well as a rendition by the comedy group Damaged Care giving us a lighter take on the topic. The afternoon promises to be worth the wait and includes two superstar keynoters, Jonathan Bush and Partners’ CEO Gary Gottlieb. Once again, we have more book signings and networking on day two. I have the honor of closing the conference with my talk asking the question: Will 2015 be mHealth’s Coming Out Party? 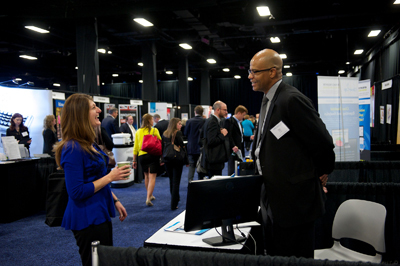 Year after year, attendees give us great feedback on the Symposium. 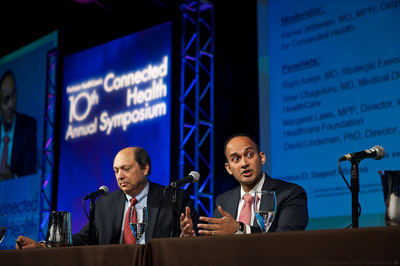 It has become a signature event for Partners HealthCare, for the Center for Connected Health and an event which promotes industry growth and cohesion. It’s a can’t-miss event and I look forward to seeing you there.